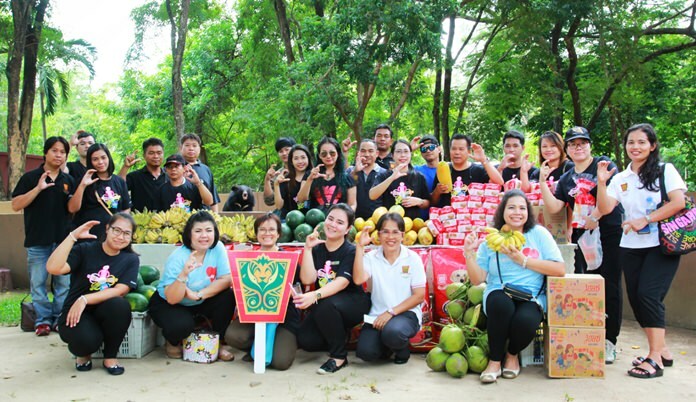 Staff from the Centara Grand Mirage Beach Resort Pattaya led by Daranat Nuchaikaew (seated front right), Director of Human Resources, took part in a CSR activity at the Banglamung Wildlife Breeding Centre recently. Exciting activities included feeding the bears. Whilst there, they were made aware of the importance of nature and its inhabitants and what one should do to help protect the environment and conserve natural resources.